Welcome to Syzygy, the premier gathering of sci-fi readers in the Dayton area! Syzygy is a diverse collection of SF lovers from around Dayton who meet monthly to explore a new book selection in the genial, inquisitive company of fellow fans. It started in August of 2005 and has met every month since. To learn more about our group, check out our new member FAQ. To obtain future meeting dates, and see what books are coming up, consult our selection list. To obtain directions to our meeting place, check the map. To learn how to obtain books on our list, see our readers' resource page. If nothing else on this page interests you, try exploring our collection of links. What does it cost to become a member of Syzygy? Absolutely nothing! The only cost to you is the price of the books, if you choose to buy them. If you check them out of a public library, you can read for free. 2. Will you sell my e-mail address to spambots? We don’t even want your e-mail address! Just show up at a meeting. 3. Where and when does the group meet? Our meetings take place in the Kettering-Moraine Public Library, 3496 Far Hills Avenue, in Kettering; between Stroop Rd. and Dorothy Lane. (See map below.) We normally meet at 7:00 pm on the second Wednesday of the month. This can change with holiday closings, or the opportunity for author signings, so it is good to stay in touch with our fearless leader. 4. Who picks the books you read? The members themselves pick out future readings in a dignified and egalitarian process, sometimes involving paper airplanes and lots of shouting :-}. Really, if you have a good idea, just bring it to a meeting. 5. Where can I get copies of the books? See our separate list of resources. If we have located an objective review of a book, that is hyperlinked to the title. If we could only find an amateur review or an unofficial author home page, it/they will be hyperlinked to individual letters of the title or name, respectively. The reviews have not been screened for spoiler material, so we advise against reading a review before you read its book. Kurt Vonnegut, Jr "We'll Remember It for You Wholesale"
February 14 Saturn Run John Sanford and Ctein A intern discovers an object entering the solar system on a trajectory that will take it to Saturn. Since it is decelerating, scientists conclude it is under power and targetting the gas giant. The US hastily assembles a team to pilot a ship and make first contact with this spacefaring civilization. In short order they find themselves in a race with a Chinese ship. March 14 Split Second Douglas E. Richards Physicist Nathan Wexler has discovered a technology with which he can send things back in time by a fraction of a second. While he considers his invention useless, Nathan and his fiancée quickly discover it has put both their lives in danger. Seasoned SF author Richards sheds new light on a much-explored topic. April 11 Redshirts John Scalzi A new ensign aboard Universal Union Capital Ship Intrepid is proud of his new assignment, until he starts to notice that on every away mission somone gets killed within the first 5 minutes, and that someone is always wearing a red shirt. (Fans of Star Trek will identify with this intuitively.) He schemes with his cohorts to stay out of the sight of the officers who lead away teams, only to discover a secret about the Intrepid that alters their view of the universe. Veterans of Agent to the Stars will recognize Scalzi's wacky sense of humor. May 9 The Big Book of Science Fiction Ann & Jeff Vandermeer, Eds. In a radical policy shift, the club will read an anthology this month instead of the usual novel. And this collection has the best works of all the giants of the genre: Asimov, Clarke, & Wells, as well as outstanding newcomers like Ted Chiang and Cixin Liu. 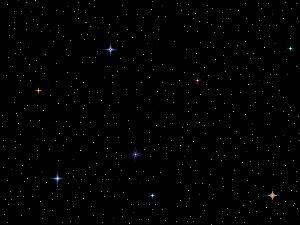 For May we will read the first 19 stories ("The Star" through "Surface Tension"). June 13 Chindi Jack McDevitt A survey mission to a neutron star intercepts a message in an unknown language. They leave behind several satellites in hopes of tracking the signal back to its source. Five years later the satellites deliver and a new probe is launched, under the leadership of Captain Priscilla "Hutch" Hutchins (who also led the mission to Deepsix). The search follows clues from planet to planet until they stumble upon an alien artifact (named 'Chindi' after a native American spirit). Chindi is the 3rd book of the Academy series (Deepsix was the 2nd), a category I: loosely-coupled series. July 11 Nanotime Bart Kosko In 2030 the world population has doubled, oil is running out, and Big Brother governments are watching everybody. John Grant has discovered a revolutionary technology that can provide the world with unlimited energy--which gets him branded as a traitor--and on the 'most wanted' list of his own country. Hamid Tabriz wants Grant's patent, using an implantable chip that allows him to control someone else's mind. August 8 The Big Book of Science Fiction Ann & Jeff Vandermeer, Eds. The same book we read from in May. This time we read from "Beyond Lies the Wub" through "Plentitude". 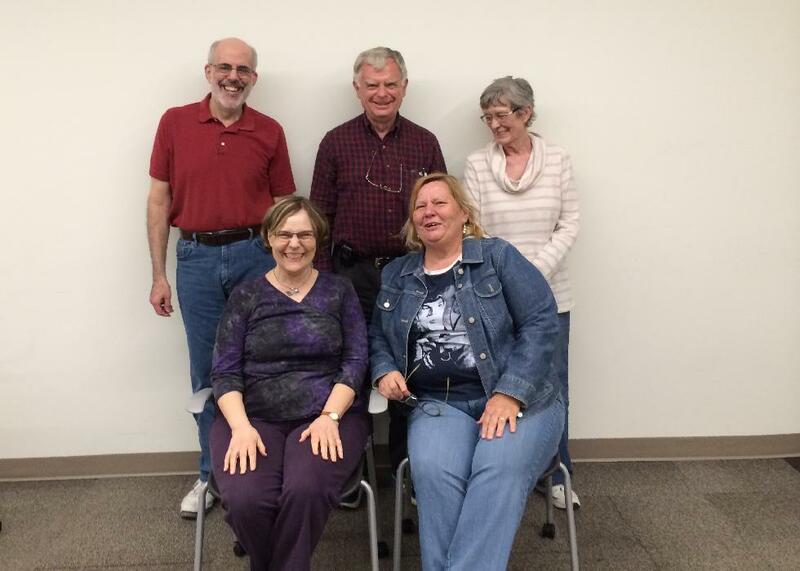 Syzygy meets on the second Wednesday of the month at the Kettering-Moraine Public Library, 3496 Far Hills Avenue, in Kettering; between Stroop Rd. and Dorothy Lane. Meeting night and/or location can change with holiday closings or author signings, so it is good to stay in touch with our fearless leader. Meetings start at 7:00 pm and last around an hour. Amazon.com now sells used books, too. They offer sample pages you can read on-line. We sometimes find books here, not available domestically. An Oregon-based independent with a strong sci-fi section. Halfprice Books 2090 Miamisburg-Centerville Rd 438-0249 These folks are serious about that "half price" bit. We once bought a vintage paperback of the original 2001, A Space Odyssey there for 47¢. Books & Co. at The Greene 4453 Walnut St 429-2169 This store offers a 1-year "Millionaire's Club" discount card that saves you 10% on all purchases, including SF books. You have to spend roughly $200/year to get back what you pay for the card. If you have a library card from any Montgomery county library, you can borrow your book from any library in the county that has it. Go the the Dayton Metro Library home page . Click on "Catalog" (top of page). Fill in as much as you know about the book and click "Go". If that doesn't work, click "Other Libraries". Click "Standard Search". Fill in your title & try again. This scans dozens of libraries around the area. If you get hits, the "Details" link will tell you which library or libraries have it. If you live in Greene county, you can look up books in the "card catalog" of the Greene County Public Library. They seem to have the newer titles! The http://www.publiclibraries.com/ohio.htm (Contains links, but not all libraries). Search the world wide web for "science fiction" and you will get lots of hits: primarily about TV shows, movies, gaming, or conventions. All the SF links in this section are targetted at people who like books. Many of the names don't tell you much about the services they offer, so we've tried to arrange them by service. Lists of "the best SF ever written"
For additional information about the Syzygy group, or provide comments about this web site, send an e-mail to: . Copyright © 2018, Gary Lynch. All rights reserved.